In our Monastery, we use the attic space to store all types of furnishings. As a warm, dry space, in the past it was used to store grain that we occasionally received as payment for a child’s education. These pieces here are our chests. They contain our personal effects. A long time ago, upon joining the community we would carry our chests up to the attic. It was a symbolic act that represented the packing away of our secular lives, and our dedication to our new lives and family. Each one represents the life of a nun. 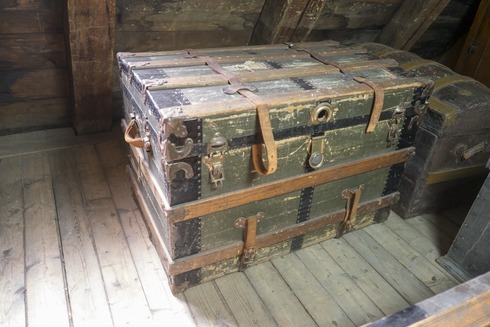 The attic full of chests is a testimony to all of the young women who have come into our Monastery dating back to the 17th century.